August 16, 2009. Photos by Pat Morrison unless otherwise indicated. 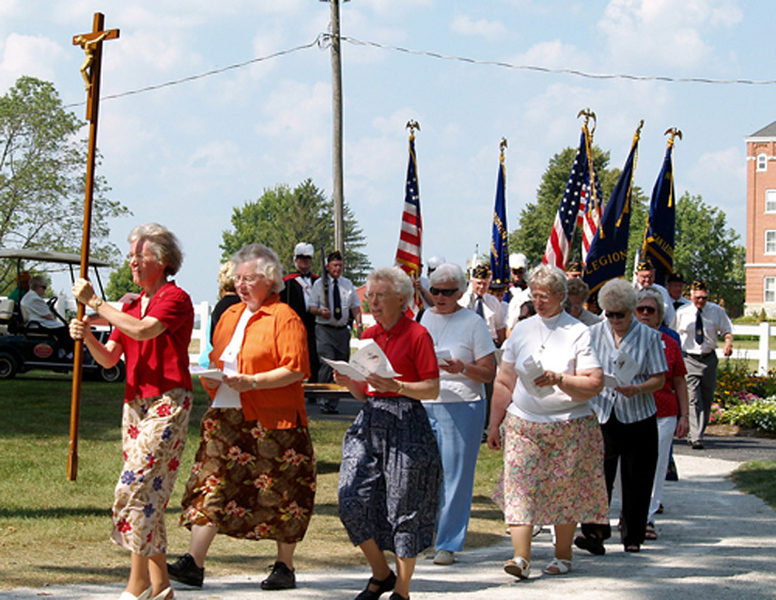 Sisters of the Precious Blood and several area fraternal groups and their women’s auxiliaries led the entrance procession from Maria Stein Center to the outdoor Mass site.